Since its inception, the Northern Ontario School of Medicine (NOSM) has proudly defied traditional health professional education. Born of a grassroots movement by Northern Ontarians in need of health professionals, NOSM is a medical school like no other. 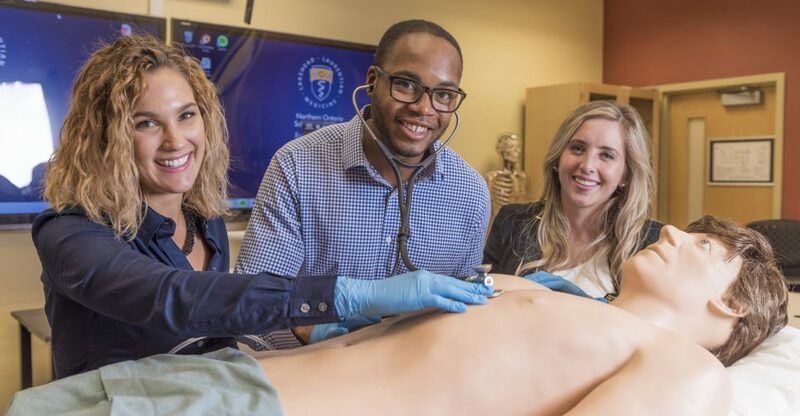 No other Canadian medical school is a joint initiative between two universities—in this case, Lakehead University in Thunder Bay and Laurentian University in Sudbury. No other Canadian medical school provides training in more than 90 communities across a geographic expanse of 800,000 square kilometres. No other Canadian medical school was established with an explicit social accountability mandate—a mandate to improve the health of the people of the region. Rather than taking an off-the-shelf approach to delivering health professional programs modelled after traditional methods, NOSM has developed novel education strategies to meet the needs of Northern Ontarians. A medical school of the whole of Northern Ontario, NOSM is a joint initiative of Lakehead University and Laurentian University. The School’s 1,700 faculty members educate physicians, dietitians, physician assistants, audiologists, occupational therapists, physiotherapists, and speech-language pathologists in nearly 100 sites distributed across its wider campus of Northern Ontario. 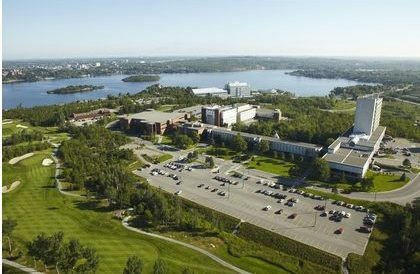 Laurentian University, NOSM’s other main site, is located in the city of Greater Sudbury, Ontario, Canada. With a population of 155,000, Greater Sudbury is located in Northeastern Ontario, approximately 400 km north of Toronto or 500 km northwest of Ottawa (5-hour drive). It is a full-service city situated on the Trans-Canada Highway.